Blood circulation is an important component of health. The pumping action of the heart helps to transport blood which delivers oxygen and nutrients to all tissues and organs within the body. The flow of blood also helps to transport waste from body tissues for removal by the kidneys and the lungs. Blood circulation goes on through the circulatory system consisting of arteries, capillaries and veins. But for this to happen effectively and without impediment, the body requires proper nutrition which includes certain vitamins. Niacin is a B vitamin that supports healthy blood circulation. Studies show that deficiency of niacin is very rare because most of the people get enough from the food. Foods rich in niacin include beets, fish, peanuts and sunflower. Besides, many breads and cereals are niacin fortified. Niacin is also known to lower bad cholesterol levels, thereby preventing hardening of blood vessels or atherosclerosis. While some people may take niacin supplements for prevention of atherosclerosis, excess niacin can have adverse effects. For this reason, it is necessary to consult your doctor about the correct dosage. Vitamin E improves blood circulation by widening blood vessels to allow for unimpeded blood blow. Vitamin E is also required in the production of red blood cells and prevention of clotting. Foods rich in vitamin E include leafy green vegetables, nuts, seeds and vegetable oils. 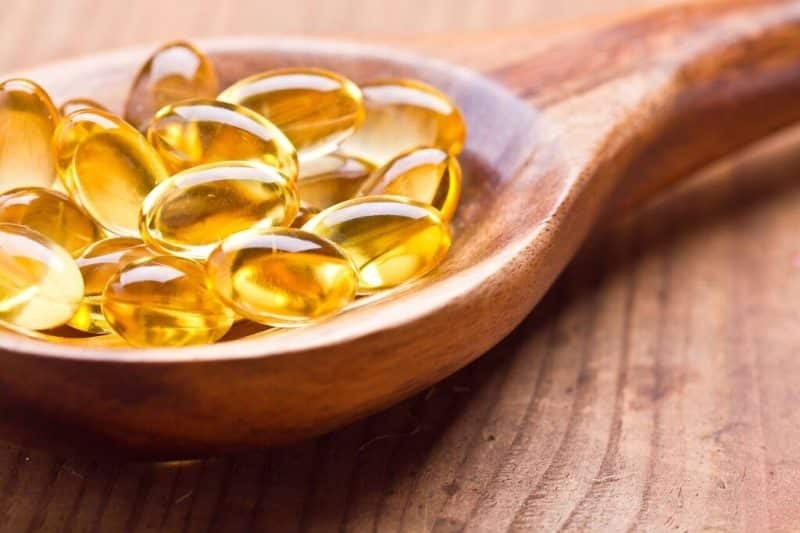 Additionally, most cereals, fruit juices and margarine are typically fortified with vitamin E. Like others blood circulation vitamins, if you intend to take vitamin E supplements, be sure to talk to your doctor so that you don’t take excessive amounts. Also known as ascorbic acid, vitamin C helps prevent build up of plaque and atherosclerosis which can otherwise impede flow of blood. Ascorbic acid also helps keep blood vessels flexible. Fruits like strawberries, oranges, watermelon, kiwi, grapefruit, cantaloupe, mangoes and tomatoes and vegetables like broccoli, leafy greens, Brussels sprouts and winter squash are some of the best vitamin C foods. Vitamin K is critical for blood clotting. Its deficiency leads to hemorrhaging or excessive bleeding which may start with the nose or the gums. Studies indicate that increased vitamin K intake can decrease the risk of bleeding due to liver disease, syndromes associated with malabsorption or long-term usage of antibiotics. Foods high in vitamin K include kale, spinach, green tea, dark green lettuce, cabbage, turnip greens and asparagus. Vitamin B6 improves circulation by its ability to fight radicals which cause hardening of blood vessels. Rich sources of vitamin B6 include tuna, turkey breast, chicken breast, garlic and mustard greens. Onion and Garlic: Onions and garlic protects blood vessels from plaques. They are also natural antibiotics and blood purifiers that help improve immunity and fight infections. Dark Chocolate: Besides its pleasant taste, dark chocolate is a highly nutritious food. It provides flavonoids which are known to improve circulation of blood through the body in addition to reducing cholesterol level and regulating blood pressure. Chocolate is also known to relieve stimulate production of serotonin and phenylethylamine which help reduce tension. Citrus: Citrus are high in vitamin C which improves circulation. Citrus fruits also have antioxidant properties and help eliminate toxins. Chili: Chili pepper improves flow of blood throughout the body by stimulating positive reactions. Olive Oil: Olive is a natural antioxidant rich in blood circulation vitamins like vitamin E, K, A and D. Olive oil also elevates appetite and improves bone density. It contains phenolic antioxidants which protect against heart disease. Nuts and Seeds: Eating nuts and dried seeds regularly helps improve the health of your skin and hair. Nuts and seeds contain vitamin B3, niacin and omega-3 fatty acids which protect against circulatory disturbances and support heart health. Exercise is among the most effective ways to improve circulatory health. And it doesn’t mean that you have to engage in extreme physical activity. Research shows that easy exercise like walking, hiking, swimming or biking for 30 minutes a day is adequate to maintain perfect blood circulation. Set aside time to exercise especially if your job involves too much sitting. Green Tea: Studies have found that green tea has many medicinal properties that include improving the functioning of cells lining blood vessels. Drinking green tea regularly can lower the risk of conditions like heart disease and cancer. Look out for organic green tea for best results. Ginkgo Biloba: Ginkgo biloba is among the oldest tree species on Earth. It has powerful antioxidant properties and has been used for thousands of years in the treatment of blood disorders and memory among other conditions. Ginkgo biloba improves blood flow by reducing stickiness of platelets and dilating blood vessels. By improving blood flow, ginkgo biloba can help reduce the effects of Alzheimer’s disease. Bilberry: While bilberry is usually used as a treatment for diarrhea, it also has blood thinning properties. For this reason, bilberry is used in cases of venous insufficiency due to damaged veins. Studies also show that bilberry improves circulation and may help in cases of atherosclerosis. Parsley: Besides being popular in many dishes, parsley is also an important ingredient in supplements thanks to its natural vasodilation properties. Parsley is also a rich source of vitamin B12 vitamin C.
Willow Bark: Scientific analysis shows that willow bark contains salicin, a chemical that is similar to aspirin. Willow bark has traditionally been used for hundreds of years to treat inflammation and pain. The active ingredient, salicin, works by thinning blood thereby promoting easy blood flow. Cayenne Pepper: Cayenne pepper contains capsaicin which is responsible for its heat. Cayenne has been used traditionally as a remedy for conditions like chronic pain, poor circulation, headaches, sore throat and toothache. Horse Chestnut: Research indicates that consuming raw horse chestnut can be fatal. But if properly processed, horse chestnut can be used to treat circulatory insufficiency. Hawthorn: Hawthorne improves blood circulation by improving the condition of heart muscles thereby regulating the rhythm of the heart. Ginger Root: Ginger has vasodilation properties. It helps open up blood vessels so that blood flows easily. Additionally, ginger has other health improving properties including nausea and indigestion. Ginger is anti-viral and anti-inflammatory and is a great for colds, flu and joint issues. One cup of ginger tea a day is a good way of improving blood circulation and boosting your immunity. Similar to other treatments including blood circulation vitamins, it is important that you consult a doctor about taking herbal supplements for circulation. Bear in mind that when used wrongly or in excess, the active ingredients in herbs can be dangerous.